It’s been a long time since I last blogged! I was hoping to write a blog coming from sunny California, letting you know about my internship and all of the things I was doing while out in Los Angeles. Unfortunately, a series of events led to the downfall of my internship. Despite AEG being a multinational company earning millions a year, they couldn't afford to help me out with my visa costs even though they had agreed to do so if I asked. Financial issues became more prominent and without help from AEG, I dropped out. This all happened within the space of a week of me finishing my exams. I was disappointed that I had to miss out on the internship, but I had no choice in the matter. I know that one day I will go out to California, but for now it wasn't the best thing to do. I’ve learned that you can’t always get what you want, but there will be something that comes along that’s better than what you expect. I'm hoping that comes around soon- this weather is awful! 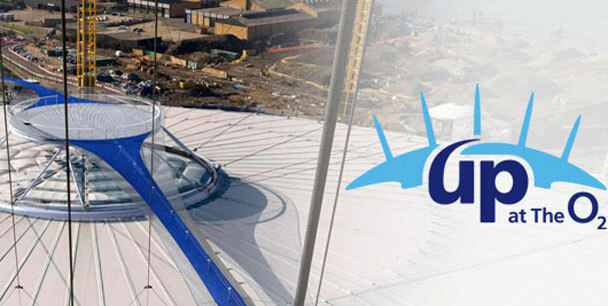 OK, I’m not going to be on the platform greeting you with champagne, but I am working at the new attraction at the O2 Arena, Up at The O2! 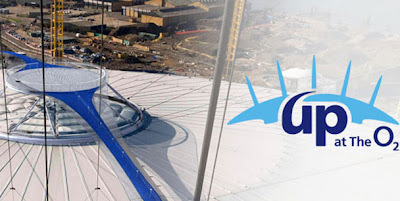 You get to climb to the top of the O2 at a price of £22 (you get a 15% discount if you are an O2 Priority customer, and 50% off if you work within the O2. If you are an employee of the attraction, you get as many free goes as you wish!). It’s helping with my financial issues, but I do need other means of help. This is why I’m back in the Enquiry Unit taking your calls for Clearing 2012 at the University of Greenwich! We’re not scary to talk to- if you want to apply for an undergraduate course starting in September 2012, call us (0208 331 9000) and we’ll help you out as best as we can. One plus side for me was getting my second year results- I got a high 2:1 (67!) and I couldn’t be happier with the result. This year has been tough, as a lot of things were going against me, but I am extremely happy with a 67 going into my final year. My next blog will be about my school year’s resolutions from last year, and making new ones for this upcoming year.